Roman Flügel appears in many guises. Sometimes his music evokes pure euphoria, sometimes he draws for jaunty house and sometimes he plays his techno hard and fast. The Flügel you get can vary from night to night, set to set. The 893rd Beats In Space mix comes courtesy of Mr Flügel himself and was broadcast live on WNYU FM in New York. His latest contribution to Tim Sweeney’s renowned series sees him lodged somewhere between spacey house and and off-the-wall techno. Made up almost entirely of unreleased material, the mix is a chance to hear exclusive Flügel tracks that may never see a release. After a rolling, almost ambient start, the Playhouse label co-founder selections turn towards a harder, almost bouncy sound, before the closing ten minutes sees the Frankfurt artist reach for some electro before closing with a unnerving, bleepy number. Ever the jester, Flügel appears in the accompanying shot with a Hivern Discs tote bag covering his face. His music is similarly oddball, messing with polyrhythms and traditional forms and structure to create something offbeat, idiosyncratic but never excessively complex. Listen all the way through to hear him discuss rebuilding his recording studio and dealing with 'cable chaos' with host Tim Sweeney. 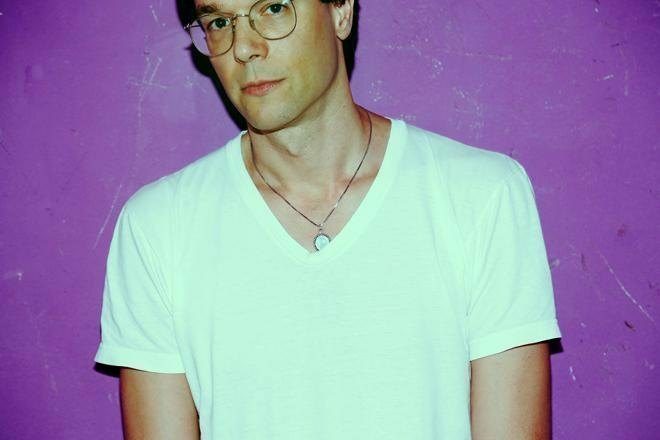 Listen to Roman Flügel on Beats In Space below.